2011/05, BTRC/former CPR mile 110.9 just before E. end of La Riviere yard. 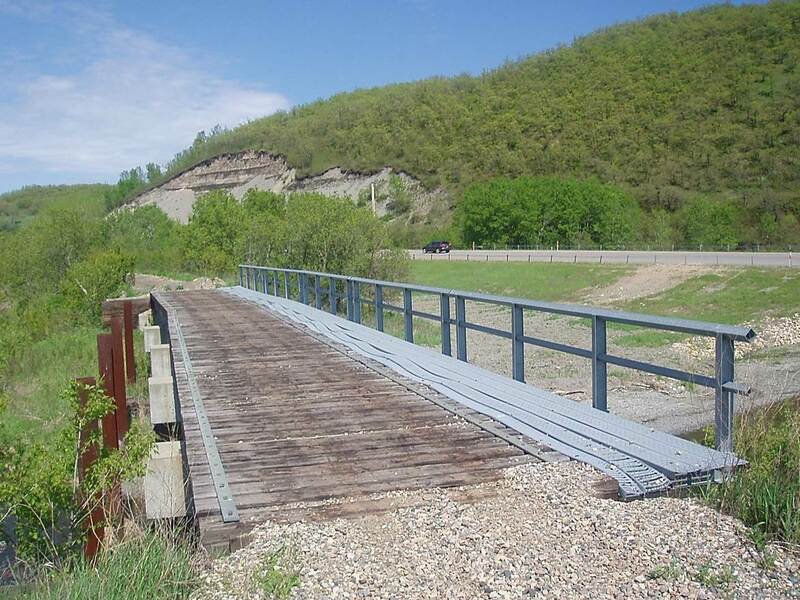 This bridge consists of 5 -22’ steel beam spans for a total length of 110’. It was built in 1984. Photo view – facing N.E. across Mary Jane Creek with Prov. Hwy. No. 3 in background -right. Notice ice guard posts on the upstream side of the bridge and walkway on the deck. Information – BTRC/CPR files. (Click on photo for enlargement) © Text and Photos exclusive copyright of N. Froese. This entry was posted in Uncategorized on 2015-04-09 by nfroese.